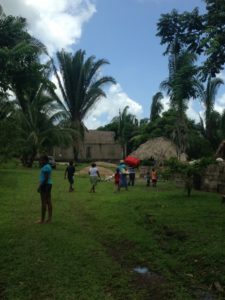 Based in Placencia, in the southern part of Belize, we work with the local English-and Ketchi-speaking communities on issues relating to healthcare, commerce, education and sustainable farming. A child's well-being and outcome are directly related to a community's ability to care and provide for them. Investment and development are needed in order to increase parental participation into the mainstream economy. 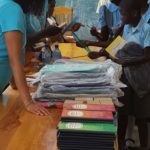 Based in Port-Margot, outside of Cap-Haitian in the mountainous northern part of Haiti, we work with the surrounding Creole-speaking communities on issues relating to healthcare, education, sanitation, recycling, and sustainable farming. Our objective is to create nurturing, productive, and self-sufficient communities. We're working to achieve these goals by teaching the community the value of preserving and using their natural recourses. Empowering the people through education, investment, and development will ensure success for generations to come. Based in Busua, a fishing village in the western region of Ghana, we work with the local English-and Akan-speaking communities on issues relating to healthcare, education, hygiene, and recycling. Through good health practices and education we address issues relating to disease prevention. Education, investment, and development are essential to achieving a more productive and healthier community. Our exchange and volunteer programs offer individuals the opportunity to give back in culturally rich environments. These cultural experiences are often profound and life changing. As a volunteer all that is required is a generous spirit, open heart, and a sense of adventure. Our programs are only possible due to the generosity of our supporters and donors. We are grateful for all of your encouragement and tireless support. 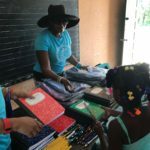 For more than 10 years and since the formal inception of Seeds of Hope Village Foundation, the Founder and Executive Director: Madeleine Jeune, has been the sole funder of all SHVF programs and activities. However, we wish to increase our social impact and assist more families in need. As a result, in 2016 SHVF was designated as a 501(c)3 organization by the IRS. This non-profit charitable designation now enables SHVF to provide a tax deduction to businesses and individual donors who wish to support our mission. 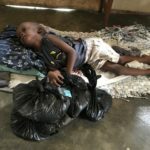 SHVF is also formally recognized as a charity by the Haitian and Belizean governments. You can support us through donations or by purchasing our SHVF t-shirts, wristbands, and tote bags. All proceeds will go towards growing and sustaining our global initiatives. We invest in the development of people as well as their communities, and in the process, we transform lives. Our objective is to create productive and self-sufficient communities through direct participation and engagement. No contribution is too small to make a difference. All donations including your time are greatly appreciated.